This book is about a boy named Charlie who lives with his parents and four grandparents. They are very poor, hungry and are in a hard situation. The one thing charlie loves most is the chocolate factory owned by WillyWonka in his neiborhood. One day Willy Wonka anounced that there would be a contest and five lucky children could win if they find a golden ticket in a Wonka chocolate bar. A few days later charlie was walking when he found money inbetween a manhole. So he ran to a store that sells one of the Wonka chocolate bars and bought it. Just then he found a shining golden ticket right infront of him. He jumped in the air many of times as he ran home. The next day charlie and his granfather and four other children went on a tour to the chocolate factory and had the funnest yet creapiest adventure of their lives. Image from: “Text-to-Screen Versus: Charlie and the Chocolate Factory.” The Lesser of Two Equals. N.p., 10 Feb. 2010. Web. 29 Sept. 2013. <http://thelesseroftwoequals.wordpress.com/tag/oompa-loompas/&gt;. Summary: This story is about a girl named Momo who lives in the ruins of the amphitheater versus a group of men in grey. These men steal something very important to human beings, and plan to eventually take over the city where Momo lives.With the help from a very trusted friend and his pet tortoise, can Momo manage to prevent the men from ruling their city? How could she stop the men in grey? What are they really looking for? The story is fast-moving and full of excitement. It’s a “must read book” for those of you who love fantasy and live in a dream world. Comment: I think you will be wanting to read more to find out what happens next! “Momo.” Boomerang Books. N.p., n.d. Web. 19 Sept. 2013. <http://www.boomerangbooks.com.au/Momo/Michael-Ende/book_9780140317534.htm&gt;. Summary: This book is about a French boy’s daily life. And this time Nicholas and his family went on a trip to the sea, and they played. And this book is a series. Comment: I like this story because the content was satisfactory and it wasn’t so difficult. image from: “Nicholas | Phaidon Press | by Rene Goscinny & Jean Jacques Sempé.” Nicholas | Phaidon Press | by Rene Goscinny & Jean Jacques Sempé. Phaidon Press Ltd, n.d. Web. 20 Sept. 2013. .
Summary: David who is ten years old and his older brother Jeff and their cousin Claire were camping but one of the campers disappeared from the dangerous Skull Cliff. The police discovered that there was a ransom. Comment: The three kids moved to a lot of places and it was complicated. That’s why I didn’t like this book that much, but it was interesting and mysterious. Image from: “Cabin Creek Mysteries: #3 Legend of Skull Cliff.” By Kristiana Gregory, ISBN 9780439929523. N.p., n.d. Web. 20 Sept. 2013. 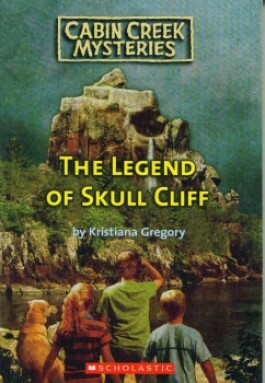 <http://www.qbd.com.au/product/9780439929523-Cabin_Creek_Mysteries_3_Legend_of_Skull_Cliff_by_Kristiana_Gregory.htm&gt;. Summary: This is a story about a girl and a Big Friendly Giant. 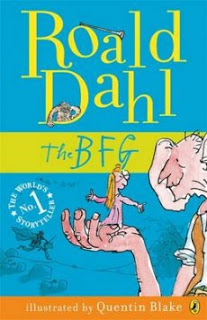 There are a lot of unfriendly giants so the girl and BFG saves the world from giants. Comment: It is a great book. This book takes me to the world of fantasy. I think a lot of people at different ages can read it. Image from: “Kids’ Book Review: Review: Charlie and the Chocolate Factory / The BFG.” Kids’ Book Review: Review: Charlie and the Chocolate Factory / The BFG. N.p., 23 May 2011. Web. 20 Sept. 2013. 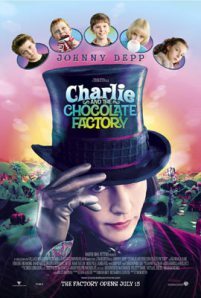 <http://www.kids-bookreview.com/2011/05/review-charlie-and-chocolate-factory.html&gt;. This book is about the other world named “Narnia”. Lucy and her older sister and brother go to Narnia to save the world from a bad witch. I liked this book. I liked where Lucy finds a way to go to Narnia. But I don’t like where Lucy’s older brother betrays her. Image from: “The Chronicles of Narnia: The Lion, The Witch and The Wardrobe (2005).” The Chronicles of Narnia: The Lion, The Witch and The Wardrobe. N.p., n.d. Web. 20 Sept. 2013. 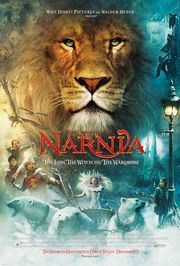 <http://www.rottentomatoes.com/m/chronicles_of_narnia_lion_witch_wardrobe/&gt;. Summary: Harry Potter is a famous wizard for not being killed by the evil Lord Voldemort. Soon, he enters the wizard school called Hogwarts that is the safest place for wizards. However Harry Potter will face the most dangerous thing there. Comment: I liked this book because it is thrilling and a little funny and also because it has many scenes that are not in the movie. Image from: “Harry Potter Book Series.” Amazon. N.p., n.d. Web. 20 Sept. 2013. <http://www.amazon.com/gp/bookseries/B00CJG28U8/ref%3Dsr_1_1_acs_b_1?ie=UTF8&gt;.